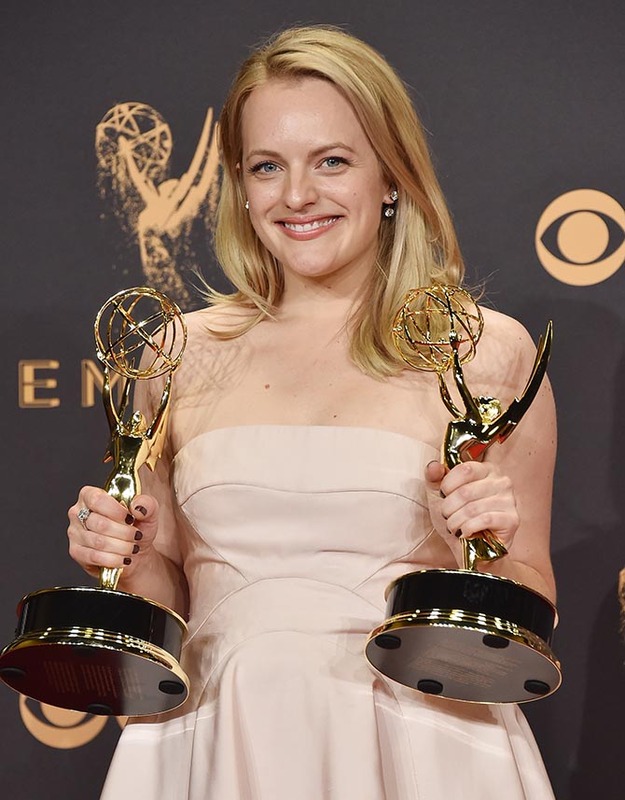 Elizabeth Moss may have made headlines with her salty acceptance speech for Outstanding Lead Actress in a Drama Series, but her outfit was sweet as sugar with some serious sparkle. 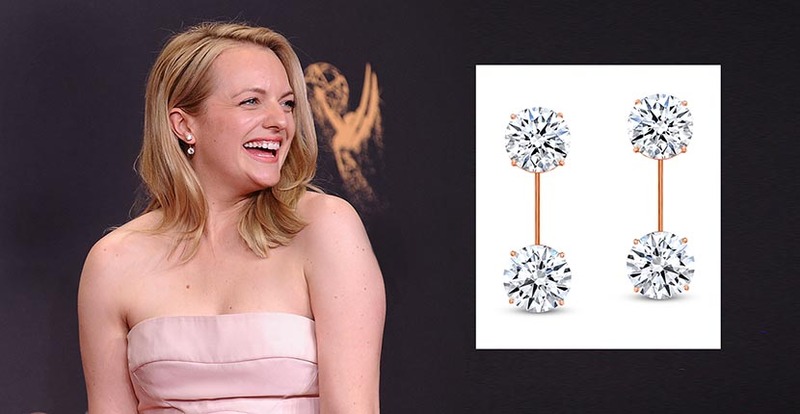 The star of Hulu’s hit show The Handmaid’s Tale paired her pale pink tea length Prabal Gurung gown with Forevermark diamond earrings designed by her stylist Karla Welch. She started the design process by doing a primitive sketch that Forevermark transformed into a precise computer CAD drawing for its master craftsmen to use as a reference while creating the jewels. The details of the one-of-a kind pieces made them stand out. The gems on the top part of the earrings were around 2-carats each and the ones on the bottom weighed about 2.4-carats each. The weight of the stones and the fact that the bar holding them together through the back of Elisabeth’s ear needed to be thin meant the only metal that would be strong enough to hold the gems securely was platinum. Karla wanted the metal to match the color of the dress so Forevermark dipped it in rose gold. “The perfect combo of femininity and strength,” is how Karla describes the earrings. Her words ring true of Elisabeth Moss as well. The earrings are available for purchase upon request. Contact US.PR@Forevermark.com for details.